Today, I’m 38 weeks pregnant. While I’m mildly (to hugely) unprepared for the roller coaster I know will hit when labor starts, my little family of three is excited to grow. One resource I’ve considered tapping for our ride to the hospital — a resource that has entered the scene since my daughter was born — is Uber. I labored with my daughter through Hurricane Irene in August of 2011. Our neighbors’ leaf-stuffed gutters overflowed through our window casings, bringing the storm into my bedroom as I paced through my contractions. By the time we were ready to go to the hospital, the only bridge left open between my West Philly home and Center City — taking us to Pennsylvania Hospital, more than 40 blocks away — was Chestnut Street. My husband drove at less than 10 miles per hour through the eye of the storm, through quiet, wet, humid streets. For this round, we’ve been seriously considering skipping the drive and using Uber to get to the hospital. Uber has a killer mobile app, and payments happen automatically. It’s easy to see why the business has been growing exponentially around the world. But Uber has its own risks for me and other Philadelphians — including marked discrimination against people who use wheelchairs, people with service animals, and, now, pregnant women in labor. 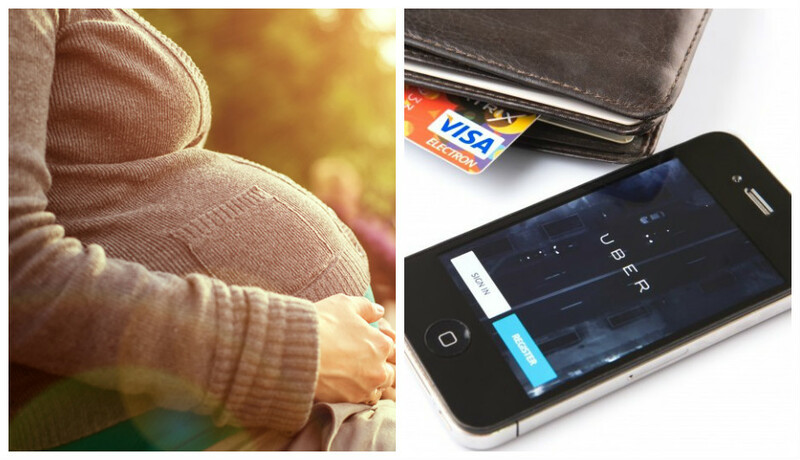 Last November, an Uber driver pulled up to the curb in New York City to a pregnant woman in active labor, her partner, and their birthing support coach. When the driver witnessed the laboring mom throwing up on the sidewalk (this happened to me once during my labor as well), he balked at picking them up and taking them to the hospital, noting he’d lose $1,000 a day if she was sick in his car, and that no other Uber driver would dare take them to the hospital. In Philly, UberX, the ride-hailing service where regular drivers can lease themselves out for rides, is operating illegally. UberX is flouting a ban set up by the Philadelphia Parking Authority, which regulates taxis in the city. As a result, we can’t expect protections for riders with disabilities and sick people — including a state law that massively increased wheelchair-accessible cabs in Philadelphia — to be followed or enforced by UberX. Passengers with disabilities from coast to coast are suing Uber and its competitor, Lyft, for routinely denying them service. In an economy where everyday workers are pushed to pick up contracting gigs and support families with less-than-full-time work, I understand the pressures that UberX drivers are under and their utterly understandable fear of losing future rides. Instead, I blame Uber itself: a company cutting corners on the backs of workers who in most cases aren’t allowed to organize for better benefits and wages. Uber’s insurance only partially covers drivers during their time working or waiting to work, and some estimates show average workers make not much above living wages. Taxis in Philly have to abide by regulations that protect drivers and riders. Mayor Jim Kenney and City Council have fought hard to protect low-wage workers and the customers they serve in Philly by expanding sick days for all, pledging to help increase minority participation in the building trades, and pushing to expand living wages for airport and city employees. Making Uber and other ride-hailing services play by the rules — and protect drivers and riders — is a logical next step. The strongest way for drivers and riders to work together to protect everyone’s needs would be to follow Seattle’s lead, and pass legislation allowing UberX drivers, limo drivers and cab drivers to collectively bargain for fair wages, rules and benefits. To make ride-hailing fairer and safer, I’m signing a new petition from disability rights advocates, including the Media Mobilizing Project (where, full disclosure, I’m the policy director), to the mayor and City Council. I hope you’ll join me. As for my upcoming labor and birth, I’m going to keep reviewing my options — hey, maybe even this Uber helicopter service they tested at Sundance this year. But I know that strong protections for me as a rider — and for the driver getting me to the hospital safely — will be first on my list when I make a choice. Hannah Sassaman is the policy director at Media Mobilizing Project, which is a longtime ally of the Unified Taxi Workers Alliance of Pennsylvania. The two groups are currently producing a video together focused on workers’ and riders’ rights. The UTWA has been a fierce critic of UberX, arguing that it is operating illegally.